5G IA /5G PPP has a big presence at Mobile World Congress 2019 (24-27 Feb, 2019) and highlighted many demos, key achievements and discussed the evolution of 5G in Europe. Three demos were displayed on the 5G IA stand 7K17. 5G Media displayed their programmable platform in the context of “Ultra High Definition (UHD) over Content Delivery Network”. This enables Media Service Providers (MSPs) to build flexible and adaptable media distribution service chains—made up of virtualized functions—and deliver UHD media content while users are moving in a geographically distributed 5G network. 5G-MoNArch showed t he Smart Sea Port testbed in Hamburg and allowed visitors to: (a) perform full slice lifecycle management in the live testbed, (b) see the impact of slice configuration on network quality and QoS, (c) see live data from the use cases as implemented in the port control centre, including pollution control data from sensors on moving barges, and control information from the traffic light, (d) see real-time monitoring information from the testbed’s network (e.g. radio KPIs, E2E latency). ONE5G demonstrated how 5G technologies can support network requirements in two challenging environments: industrial areas with large factories, and highly populated areas (“megacities”). Specifically, ONE5G showed: (a) small-cell 5G multi-connectivity for reliability enhancement in industrial environments, (b) E2E monitoring schemes based on the actual user quality of experience (QoE) as enablers for the future network management and optimisation in megacities, (c) slice negotiation and management functionalities. 5GCITY demonstrated their Neutral Hosting solution along with a media-related use case called “Video Acquisition & Production”. This showed how the 5GCity neutral host platform can enable an ICT infrastructure owner to slice and lease its infrastructure to a 3rd party. The service acquires multiple, high-quality live videos from the event and uses Wi-Fi to stream them through the platform to a designated cloud-based application. Supported by 5G, this type of service can revolutionise, for example, how journalists work, since it allows them to immediately deliver content, on the move, to audiences. Moreover, such services can also support the public’s engagement in media production for big events. MATILDA presented the 5G PPDR demo which showcased automated deployment, high availability, and the vertical and horizontal scalability of a 5G-ready emergency response application. The solution was provided with the iMON product suite designed for real-time intervention monitoring. The suite offers public safety agencies modular communications capabilities, a common operational picture (COP) in real time, and a suite of IoT-supported intervention management tools with on-site sensing and user or asset tracking capabilities. The 5Gtango communications demo showed all the steps needed to deploy a collaboration system for real-time communications over our NFV Platform. In just a few minutes with almost no effort, the final services provided advanced collaborative features such as multi-conference, screen sharing and whiteboard. The immersive media demo showed how 5G networks will enhance the experience of end-users regarding media services by improving their immersiveness into multiple 360º and non-360º video streams and the integration of their social media channels. This allowed, for example, end-users to enjoy sports events in a new dimension. 5GCAR captured the integration process and illustrate a pre-demonstration presentation as a teaser for the final project event planned mid-2019. 5GCAR showed: Lane Merge – sharing local awareness and driving intentions, and negotiates the planned trajectories for coordinated lane merge; See Through – perception extension built on the basis of exchanging data from different sources to detect objects and vehicles in the non-line of sight; Vulnerable Road User – exchanging information on detecting the presence of road users with increased positioning accuracy. 5GCroCo dem onstrated three use cases: a) Tele-Operated Driving; b) High Definition Maps for enabling autonomous driving; c) Anticipated Cooperative Collision Avoidance. These use cases were validated by conducting three types of validation trials: 1) Large scale trials in the Metz-Merzig-Luxembourg Cross-Border Corridor aiming at localized validation of 5G in the cross-border areas; 2) Large scale trials along the entire corridor, validating 5G technologies in significant trams of the highway, also including cross-border scenarios; 3) Small scale trials located in geographically distributed locations. 5GCroco also displayed its first video. have a look here. 5GCroco also held a presentation along with 5GCAR: 5GCroCo described- the planned activities for the next 3 years, 5GCAR showcased the field tests that are currently being developed to validate the contributions of the project with real trials. IoRL displayed a propo sed 5G slot format and 5G transmission over the air link (light and radio) connecting the three essential components of the IoRL project (DRAN, RRLH Controller and User Terminal). 5G-Xcast: MBMS operation on Demand. 5G-Xcast sho wed the potential of 5G for media delivery: from traditional always-on linear TV services to on-demand streaming; from user-agnostic delivery to adaptive streaming to device capabilities; and, from fixed reception to users on the move. The demonstrator highlighted the use of MooD (MBMS operation on Demand) to activate a broadcast delivery mode to cope with the demand of users getting connected to the same programme via unicast. 5G-CORAL showed E2E, 360-video streaming across three tiers of computing nodes (Low, medium and high ends) all under unified orchestration and control. The demo comprised two 360 degrees cameras, each capturing a separate event in different areas of the booth, plus two terminals for two kinds of experience: one smartphone and one oculus rift (goggles). The visitors experienced the automated deployment of the E2E video streaming and 360 video streaming from either camera location, at a fraction of the bandwidth. 5G-PICTURE pres ented a slide-deck describing the time-sensitive network (TSN) for 5G converged front- and back-haul that ADVA and TransPacket are developing. The proposed solution leveraged TransPacket’s FUSION deterministic delay technology for guaranteed service transport, and ADVA’s flexible G.metro DWDM optical layer. Such a solution is capable of low latency and timing accuracy for supporting the emerging 5G applications, which will be eventually showcased in the 5G smart city testbed in Bristol, UK. This demo presented an ongoing prototype implementation of the Service Orchestrator (SO) building block of the 5GTRANSFORMER (5GT) architecture. Within the 5GT-SO, the Service Manager (SM) is defined. It hosts the intelligence of the 5GT-SO and interacts with the other architectural blocks of the 5GT architecture through the defined APIs. The aim of defining the SM is to decouple the 5GT-SO implementation from the associated MANO platform (OSM in this case), allowing the interoperability with other MANO platforms, hence increasing the scope of the 5GT solution. In this demo, the current ongoing implementation of the 5GT-SO showed, using the SM, that it was able to automate the orchestration of both computing and networking resources to deploy a virtualized mobile network service based on ns-3/LENA network simulator/emulator in minutes over an emulated environment consisting of a multi-point of presence infrastructure connected by a custom transport network. On 7 February 2019, the European Commission held the 5G SDA for CAM (5G Strategic Deployment Agenda for Connected and Automated Mobility) stakeholder workshop with all stakeholders interested in the deployment of 5G networks along roads to enable Connected and Automated Mobility Services. The workshop gathered more than one hundred professionals and policy makers. It was open to key stakeholder including telecom operators and vendors, automobile manufacturers and suppliers, road operators, transport authorities, as well as actors involved in road safety and security. The workshop had been carefully prepared under the leadership of the 5G PPP Automotive Working Group which produced an executive outline of the 5G Strategic Deployment Agenda for CAM as well as a more detailed White Paper providing preliminary scenarios and options for deployment. The workshop identified valuable elements for the upcoming development of the SDA. For additional information, have a look here. On 12 and 13 February 2019, the 5G Vertical User Workshop, an initiative of 3GPP Market Representative Partners 5GAA, 5G IA, 5G-ACIA and PSCE, was organised as a collaborative event for strategic dialogue between industries and 3GPP by exchanging on future needs and upcoming cellular standard developments. Over the course of both days the experts mentioned discussed at a general level the existing procedures and process ongoing at this moment within 3GPP in relation to past, present and future Release cycles, with work on Rel. 16 set for completion by December 2019. From 3GPP, there were focused presentations on experiences in the Standardisation process in the areas of Critical Communications, Industry Automation and Vehicle-to-Everything (V2X). There was also a dedicated session led by the Chair and Secretary General of the 5G Infrastructure Association, the industry association element of the EU funded 5G Public-Private-Partnership, which focused on the numerous phases of the 5G PPP and the numerous ongoing projects that develop and test solutions; and how best to integrate outcomes of these projects in terms of requirements, into 3GPP. To conclude, an interactive panel session chaired by Jean-Pierre Bienaimé, 5G IA Secretary General, with the support of the 5GAA CTO, with representatives from 3GPP, 5G Verticals Associations and 5G PPP Projects, tried to summarise the insights from workshop. The Workshop demonstrated the clear value in having constructive discussions outside of 3GPP on how to improve the engage of MRPs and other 5G Vertical Industry representatives. Following the workshop, this entire report will be presented to 3GPP PCG as a contribution for informational purposes to share all relevant insights. There are clear shared goals from across the various 5G vertical industries/sectors, with a great appetite from industry and Standards Development Organisation to receive the input of their respective vertical representatives. There is a need to pool resources, share experience and lessons learnt whilst becoming more familiar with 3GPP as a whole, and also to create a more ‘vertical friendly’ standardization environment to support such efforts. This first 5G Verticals workshop provided a much-needed and unique opportunity for this particular group of stakeholders to come together, however, feedback during the final concluding session demonstrated that clearly driving action by verticals within 3GPP would require additional, more focused workshops or meetings between the verticals to turn valuable dialogue into valuable action. The core organizational group of verticals have therefore since agreed that regular face-to-face meeting will take place amongst all verticals in line with dates of 3GPP PCG meetings, supplemented by ad-hoc conference calls, also considering the 3GPP meetings schedule. The first iteration of such a meeting will take place ahead of the June 2019 TSG #84 already mentioned. Future meetings will involve a more focused audience of verticals, with aims to involve a wider array of said verticals. The aim will be to specifically identify gaps, mergers and possible cooperation on study items with mutual benefits across multiple verticals. The decision to organise under this initiative more focused vertical workshop meetings, does not exclude the possibility of other larger mixed and even international events elsewhere to complement; however, based on feedback received during and since the event, such an expanded scope was not seen as the most effective means to drive concrete action by involved in parties within 3GPP in comparison to the focused ‘Working Group’ style approach to be adopted. It was also advised by 3GPP representatives that the 5G Vertical group focus on the three major themes to be covered in current and future releases, namely: Industrial IoT and Time-Sensitive; Sidelink Requirements; and Ultra-Reliable Low Latency Communication (URLLC). The 5G IA released a Position Paper on a European Partnership on Smart Networks & Services under Horizon Europe on 13 February 2019. This Position Paper deals with Smart Networks and Services for Next Generation Internet. Smart networks and services are essential for the digital transformation of all sectors of our economy and society, for addressing societal challenges, and for protecting and empowering European citizens to participate in the digital society. Please see the 5G IA’s Position Paper on a European Partnership on Smart Networks & Services under Horizon Europe. With the support of the Delegation of the European Union to India & the India-EU Cooperation Project on ICT-Related Standardisation, Policy and Legislation, TSDSI and BIF joined hands with 5G IA to organise a workshop to bring together technology experts from the EU and India geographies for sharing their experiences and explore areas of mutual collaboration. deliberated over a variety of topics spanning 5G Architecture and Applications, Standardization, Rural 5G, Trials, Interoperability and Test Beds, 5G viz Cloud, Satellite and Broadcast, VLC, mmWave etc. The workshop witnessed enthusiastic participation from 165+ delegates over the two days, including Mr. Jean-Pierre Bienaimé, 5G IA Secretary General. He recommended that India may consider 5G Rural projects on similar lines as the EU-Brazil 5G –Range project for remote areas access in Brazil. Collaboration between the India 5G Trials Initiatives and corresponding 5G Trials workgroup of 5G-IA may be explored. He also suggested that India may consider joining regional 5G Forum activities, like the Multilateral MoU, which currently has representative members – 5GIA from EU, 5G Americas from North America, 5GMF from Japan, 5G Forum from Korea, IMT2020 Promotion Group from China and latest entrant – 5G Brasil from Brazil. 5G-MoNArch, IoRL, 5G-XCast, Sat5G, and NGPaaS projects delivered appreciated presentations. unique opportunity to connect the as yet unconnected. A focused approach is required to develop standards that recognise the need for cost effective solutions. A striking observation from the deliberations was the similarities in the approach taken by EU and India for ushering in 5G. Participants were of the unanimous opinion that more such workshops are required to be conducted at regular intervals, to promote dialog and experience sharing. “The need for continued dialogue to achieve globally harmonised 5G standards that can cater to the use cases and aspirations emerging from different geographies” was a key takeaway from the workshop for Mr Satish Jamadagni, Vice Chairman, TSDSI. 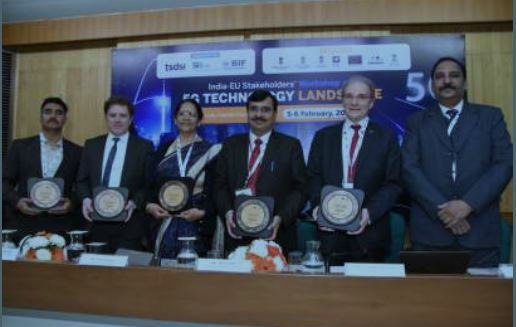 Mr Benoît Sauveroche from the EU Delegation to India stated: “The Delegation of the European Union (EU) was delighted to bring its support to this initiative, through its EU-India project on ICT standardisation. It realises the political will from both India and the EU to intensify their technical cooperation focusing on global standards for next-generation information an communication technologies, as expressed at the last EU-India summit. 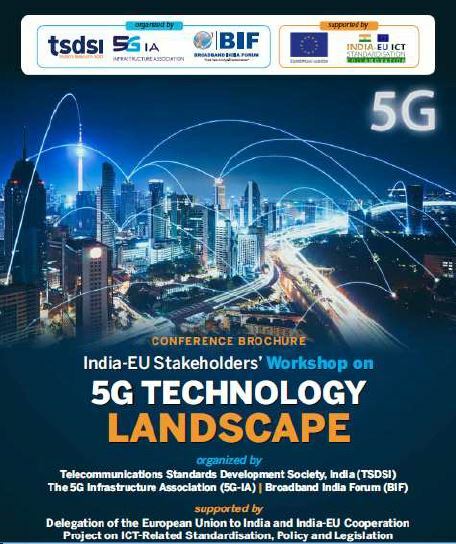 The EU remains determined to continue to engage with India on aligning with international standards.” 5G is important for solving societal challenges and propelling economic activity in vertical application industries. 5G Technologies should address requirements of the rural and remote segment, be energy efficient and cost effective. EU is committed to support international cooperation efforts for developing globally harmonized 5G standards. ETSI and TSDSI will work together in 3GPP to achieve harmonization of 5G standards. 5G Test Beds programme of India may be explored. Continuous dialog among experts, sharing of experiences from trials and implementations, and alignments to ensure globally harmonized standards is crucial for 5G. It was decided to organize similar workshops at regular intervals, to continue this dialog. TSDSI, BIF and 5G-IA are in discussions to implement the above actions. 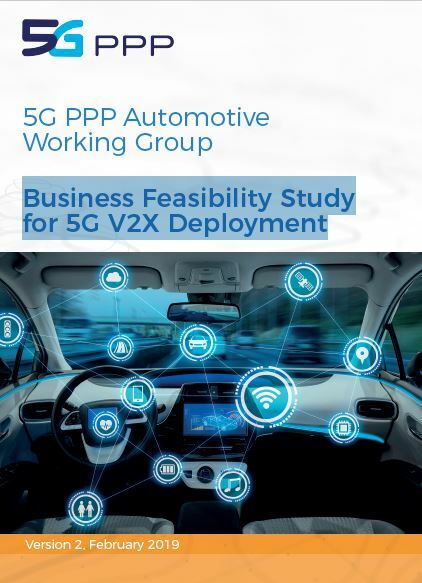 The 5G PPP Automotive WG released its 2nd White Paper “Business Feasibility Study for 5G V2X Deployment”. This second version of the white paper from the 5G PPP Automotive Working Group builds on the first one, which was published in early 2018. With respect to the first version, this paper includes further work and enhancements that targets the description of the 5G V2X ecosystem and stakeholder relationships, different sharing models for network infrastructure, as well as a business setup and finally a techno-economic assessment of the investment. The scope of the paper is to provide insights and trigger discussions on business models for CAM services, 5G V2X deployment costs and potential revenues. Available research studies, ongoing discussion within the 5G PPP, standardization bodies and other alliances are used as references to build the arguments in this paper. Metro-Haul will have a conference contribution by Rafael Leira, Iván González, Jorge E. López de Vergara from Naudit on “Wormhole streaming engine: a real 100 Gbit/s monitoring process using affordable Big” at the IFIP/IEEE International Symposium on Integrated Network Management (IM 2019). Smart to Future Cities & Urban IoT returns to London in 2019 for its 8th edition; the only European centric Smart Cities event to really focus on practical, scalable applications of smart city initiatives to improve infrastructure and quality of life. Enter 5GIA20 as a VIP code and get 20% off. The 5G Realised Summit will build upon the 5G infrastructure core and will then feature 7 workshops led by industry experts from the respective verticals to further investigate and demonstrate the use cases in each vertical. WS on How cloudy and green will mobile network and services be?5G-Transformer and 5G-Coral jointly organise the 7th workshop on Cloud Technologies and Energy Efficiency in Mobile Communication Networks@ CLEEN 2019 and call for papers. This workshop explores novel concepts to allow for flexibly centralised radio access networks using cloud-processing based on open IT platforms, exploiting network virtualization and multi-access edge computing technologies that are recognized as key enablers for the definition of future 5G systems. This workshop will cover technologies across PHY, MAC, and network layers, technologies that extrapolate the cloud-paradigm to the radio access and backhaul network, and will analyse the network evolution from an energy efficiency perspective. It will study the requirements, constraints, and implications for mobile communication networks, and also potential relationship with the offered service, both from an academic and industrial point of view.For more information on the Workshop read more here. The targeted topics of the workshop include, but are not limited to: 5G trial development, 5G Spectrum, Verticals and new services, Measurement and evaluation, Network deployment and optimisation. 30 papers have been received – many of which from 5G PPP projects – and are now evaluated by the TPC. The 7th Global 5G Event “Creating the digital Future” will take place in Valencia, Spain in June 2019. The event will be co-located with EuCNC 2019 (18-21 June 2019). The preliminary agenda is already available. On Monday 17 June afternoon, a session on 5G regional trends will be held. On Tuesday 18 June, sessions on 5G for Business the future of 5G and the upcoming 8th Global 5G Event will be organised. On Tuesday 18 June afternoon, technical sessions on cross-regional projects and 5G KPI measurement are scheduled. Infrastructures (SecSoft)” at 5th IEEE International Conference on Network Softwarization (NetSoft 2019). Read more here on call for papers. EuCNC 2019 will be co-located with the 7th Global 5G Event, which brings together the world 5G industrial associations: 5G-IA, IMT-2020, 5G-Forum, 5G-MF, 5G-Brasil and 5G-Americas. Presence of 5G PPP projects will be detailed soon and updated regularly. 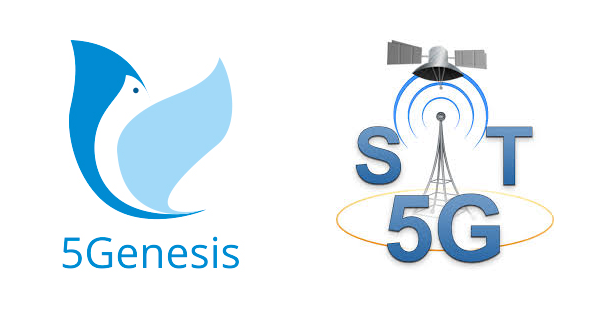 5G-DRIVE, 5G EVE, 5G-VINNI, 5GENESIS, and SLICENET are organising the “2ndWorkshop on 5G-Trials – From 5G Experiments to Business Validation” and calling for papers. The workshop aims at providing a forum for industry and academics to disseminate new findings on 5G trials and new business development. The workshop calls for papers presenting test results from trials as well as theoretical results based on realistic deployment schemes and new 5G business models. More information here ou there. 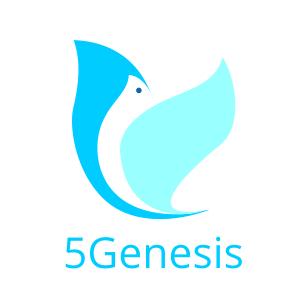 Baltic Sea region 5G Ecosystem Forum “5G Techritory”, organized by the Electronic Communications Office of Latvia, has become a huge success already in its first year. 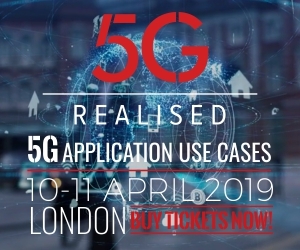 In 2018 one of the leading 5G technology events worldwide gathered 700 participants, more than 70 senior speakers from Europe, Asia and the USA, leading industry organizations and global ICT companies as the organizational partners and main supporters. More details can be found on www.5gtechritory.com. 5G Techritory has initiated a new open platform for cross-border, cross-level and cross-sectoral cooperation for the development of a sustainable 5G ecosystem in the Baltic Sea region in line with the European Commission’s Strategy for the Digital Single Market and the Nordic-Baltic digital cross-border cooperation policy and its 5G Action Plan for 2018-2020. The Forum has helped to facilitate establishing new partnerships between global and regional ICT companies, governments, municipalities, business support organizations, universities and other key stakeholders in the region and in the wider European context. – Hackathon for meeting the leading 5G technology start-ups. Additional details will be disclosed soon. This year marks the 10th anniversary of our successful and most influential event series FOKUS FUSECO Forum with tutorials, workshops, live demos, a conference, and discussions with leading operators, manufacturers, integrators as well as various industry verticals around the most recent 5G hot topics: state of technology development in terms of standards, products and first solutions derived from international technology and application trials; potential business models in different vertical domains, particularly private networking options and operator network slicing approaches; operator 5G rollout plans, including migration and interworking with 4G, Wi-Fi and satellite networks; relevant 5G testbeds and trials around the globe. 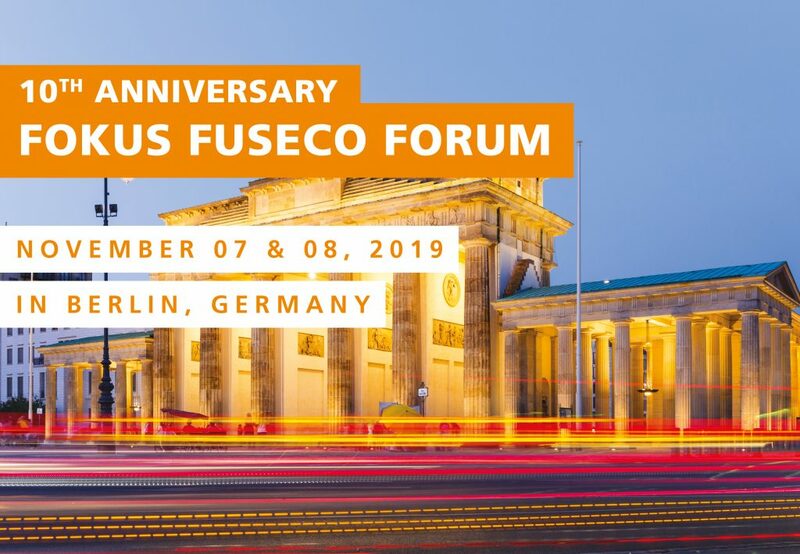 For further information, please visit: https://www.fokus.fraunhofer.de/ngni/events/fuseco_forum_2019. The editor of the 5G PPP newsflash on behalf of the To-Euro-5G Project is: Carole Manero, IDATE DigiWorld, CS94167 – 34092 Montpellier cedex 5, France. The IDATE DigiWorld team is led by Frédéric Pujol. This document reflects only the views of its authors.